Rob Baron has a degree in B.E. and M.Sc. 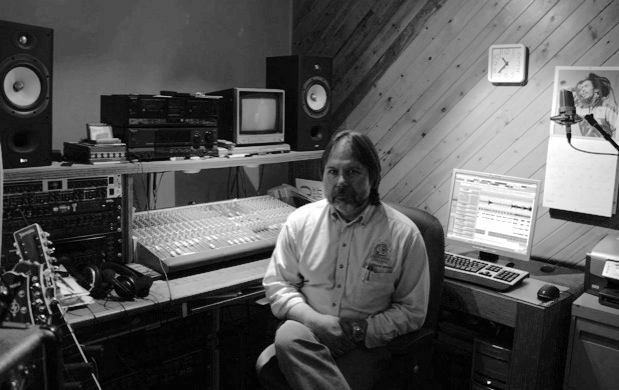 in Engineering from the University of Saskatchewan and has been involved with muti-track recording for over 25 years. Rob's knowledge and experience can guide you comfortably through your first (or tenth!) project from planning to CD release. First recording his own demos, Rob's studio began to grow to serve a growing number of clients. Rob continues to get new projects primarily by word of mouth. This attests to the many happy clients Rob has accumulated over the years. Rob Baron has been a member of several area bands including "The Bounce", "Prairie Thunder", "Road Trip to Bernie's" and now "Detour".